Products. Extensive line of new and quality reconditioned systems. TRI-STAR Telecommunications is an international distributor of Octel® and Avaya® products with over 18 years of leading experience offering new and quality reconditioned equipment. TRI-STAR is recognized internationally as the top supplier of cost-effective solutions to large Fortune 500 companies, medium-sized organizations, and small businesses. 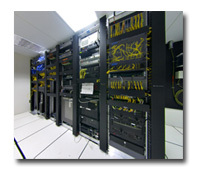 We are ready and able to provide the hardware and the knowledge needed to help make the right decision for your needs. Among the solutions we provide: Octel Voice Mail: Avaya's award-winning Octel Communications Messaging Division; the Polycom Soundstation: We are a certified Polycom distributor and offer the entire line of Polycom products at a substantial discount off list price; Avaya Communication Manager: AURA Communication Manager is Avaya's flagship IP Telephony software platform; and VoIP Systems so you can reap the benefits of all of the new IP-based features and functionality available right now in the IP Telephony world. Learn more about the products we offer by clicking the links to the right, the images below, or contacting us directly. As a certified distributor, we offer the entire line of Polycom and Plantronics products at a substantial discount off list prices. To review their available product line, click the images below. Once you have made a selection, return to this website to place your order and save!